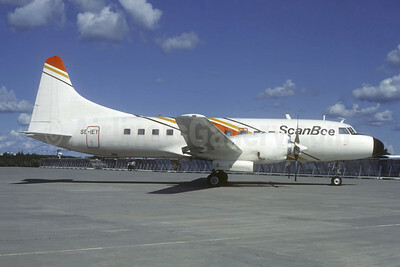 (Scandinavian Beeline Charter dab) (Stockholm - Arlanda) 1977 - 1985. Photos. Framable Color Prints and Posters. Digital Sharp Images. Aviation Gifts. Slide Shows. ScanBee Convair 580 SE-IEY (msn 372) ARN (Christian Volpati Collection). Image: 945550.